Known for her role as Annie Banks in the 1991 Steve Martin film “Father of the Bride” (with enviable, perfect hair), the television series “Nashville” and wife of country music superstar Brad Paisley, Kimberly Williams-Paisley is the author of “Where the Light Gets In: Losing My Mother Only to Find Her Again,” which chronicles her mother Linda’s battle with Alzheimer’s. Linda passed away in November of last year. Now available in paperback, Kimberly’s book shines a light on the stigma of dementia and the unbreakable bond shared between mothers and daughters. We spoke to Kimberly about the book and her next project – a disco fundraiser benefiting the Alzheimer’s Association. Congratulations on your book going into paperback, Kimberly. Why did you decide to share your story? What made you want to be open and honest about dementia with the public? In 2006, my family learned that my mom, then 62, had primary progressive aphasia, a rare form of dementia (which we later found out was Alzheimer’s disease). This book follows the journey we took – the mistakes, the good times, and the bad – and lays it out for people to see. One of the biggest mistakes we made when Mom was diagnosed is that we listened to her request for secrecy. As Mom became less aware and her dementia progressed, I felt a strong need to tell my story. I also wanted to encourage others in similar situations to tell theirs. The book was born out of a magazine piece I wrote for Redbook magazine, and the response to our story was astonishing. It was also very therapeutic for me to share it. I knew I wanted to dive deeper into the journey. Writing helped me understand what happened. Can you also speak to the significance of the book’s title? Do you consider the book a form of advocacy? Definitely. I wanted to tell our personal story because it helps people understand what the disease truly is – complex, sad, heartbreaking – but also I wanted to highlight what lessons can be learned when you go on a journey you haven’t chosen to take. I hope people will fall in love with my mom the way I loved her. My mother was not her disease. She was an exuberant, passionate, empathetic, funny woman who just happened to have this thing happen to her that we couldn’t fix. I wanted to share her light, her heart and her passion for her family with the world. I hope the book helps people understand that it’s okay to be vulnerable, open and honest about what happens when someone you love has dementia. I am so glad the Alzheimer’s Association exists. This disease has many facets to it, and families are faced with an array of complicated challenges. We didn’t get much help in the beginning because my mom didn’t want us to, but I wish we had. 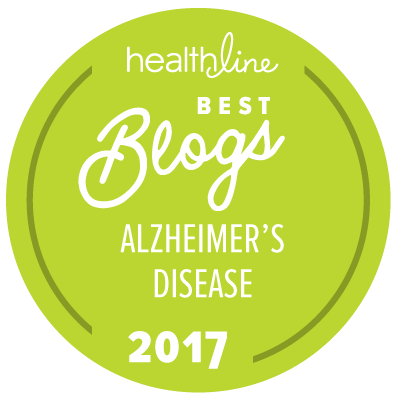 Alz.org has a wealth of information about Alzheimer’s and other dementias. The Association’s free 24-hour caregiver helpline connects people to local resources wherever they are. Once we started reaching out, I felt like I’d gained a whole new extended family. What do you think of the stigma surrounding a dementia diagnosis? My mother didn’t want people to think she wasn’t smart, or to pity her because of her diagnosis. (Linda had worked as a foreign correspondent and became a major gifts fundraiser for the Michael J. Fox Foundation for Parkinson’s Research.) To be honest, she was embarrassed. I think that is common for people who are starting to lose some brain function, realizing they aren’t as “sharp” as they once were. I imagine it’s terrifying, and I know it’s common for people to want to try to hide the truth. What have you learned from your husband and children in coping with dementia? effortlessly. I think kids can often live moment to moment similarly to the way someone with dementia can. I have a great deal of gratitude for my husband, because not only did he welcome my challenging family with open arms, he also helped out financially. Dementia is an expensive disease, often requiring 24/7 attention. Mom wouldn’t have gotten the care she got if it weren’t for Brad’s assistance. On June 4th, you will be co-hosting a Disco Party with radio host Blair Garner in Nashville benefiting the Alzheimer’s Association. Your husband Brad Paisley and other top musical artists will perform disco hits from the 1970s and 1980s. What can you tell us about the event? We wanted it to be a lot of fun, reviving an annual disco party Blair used to throw years ago. My mom and I often connected through music, and I know that a lot of people with dementia have a similar experience, so it is fitting that we are having this type of event. I hope we bring fresh awareness to the cause in a city that has made music its centerpiece. Thank you, Kim, for your advocacy, for raising awareness, and for your book. I read your book and appreciate you sharing the reality of the disease and not sugarcoating the difficulties. I hope your disco party is a smashing success! I hope & pray that a cure is found. My Dad had Dementia due to a stroke on left side which is where your brain is. I know I shouldn't worry about getting Dementia as my Dad's Dementia was due to a stroke. However after watching him deteriorate I do worry constantly. I eat lots of vegetables & try to play games & word search often. Diet I have read has a lot to due with helping prevention. I will continue to pray that a cure is found .